The recent leak uncovers more details about Apple's prospective flagship - iPhone X Plus. While iPhone X had already made so much of buzz among the enthusiasts the world over, the upcoming iPhone X Plus and budget iPhone have been garnering the similar amount of attention. Leaks and rumours have been surrounding the upcoming smartphones from Apple, and the recent leak uncovers more details about Apple's prospective flagship - iPhone X Plus. Reportedly, Apple 'accidentally' spilled the beans about the details with the beta version of its yet-to-come software update iOS 12. The details were disclosed when testers from ihelpBR were fiddling with the iOS 12 beta 5 update which conveyed resolution of the 6.5-inch screen of the iPhone X Plus. Apparently, the software update has already been developed for the upcoming bigger smartphone. As found out by the testers, the codes of the iOS 12 beta 5 contain information about the 6.5 inch iPhone which will perhaps feature the highest screen resolution, higher than any other previous iOS device. 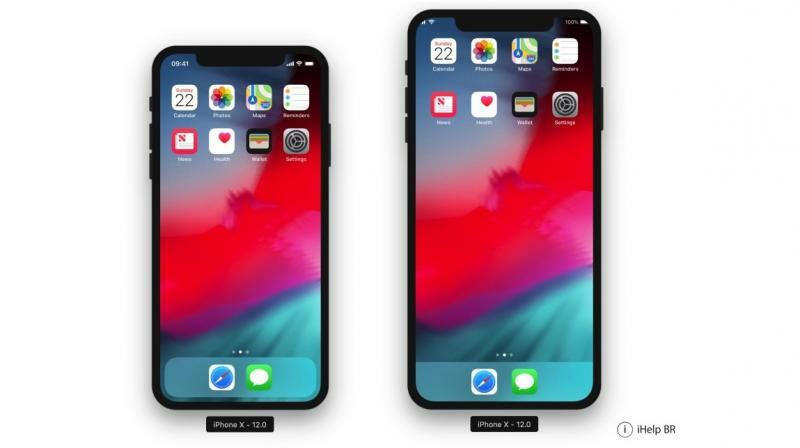 The findings show that it will boast of 2688 x 1242 pixels of resolution and the screen will support landscape mode for various core apps of the iPhone. The landscape mode has been till now featured only on the Plus models (iPhone 7 Plus and 8 Plus). The same fact reveals that the phone in the offing is a Plus model with the expected size of around 6.5-inch. ihelpbr uncovered the aforementioned details by running the iOS 12 beta on the Apple's Xcode iOS Simulator. The landscape for exclusive iPhone apps and a few other interfaces are exclusive on the iPhone X Plus model and they won't be seen on the cheaper 5.8-inch iOS smartphone.